To all who know me, itâ€™s no secret that I can eat my weight in Junior Mints, so when I first heard about Junior Mints Deluxe, I checked the mail impatiently every day until my samples arrived. When they did, I was a little sad to see that the Florida sun had taken a toll on the confections, but they were still mostly intact, and I got ready to chow down on some minty, chocolaty goodness. I love it when I go shopping for one thing and end up finding something else instead. That’s what happened when I went holiday shopping the other day. 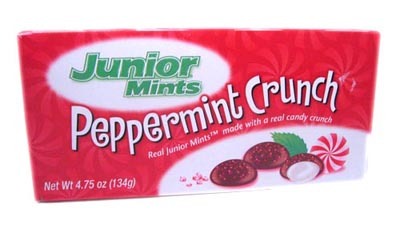 I went in looking for a certain gift and ended up walking out with a box of the new Junior Mints Peppermint Crunch. Isn’t the box pretty? I love how festive it is! Junior Mints and I have a sordid history. 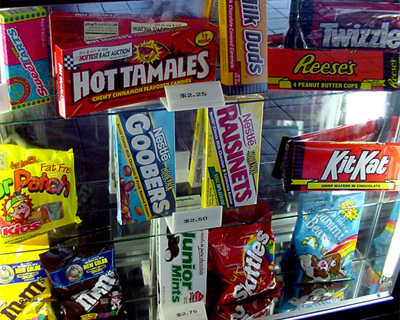 As a kid I’d only really have them at Halloween since they weren’t something I’d ask for. Each year when I’d give them a try, I knew why. I was never a big fan of mint and chocolate (although I’m warming up to it now) and they’d always end up in the trash.